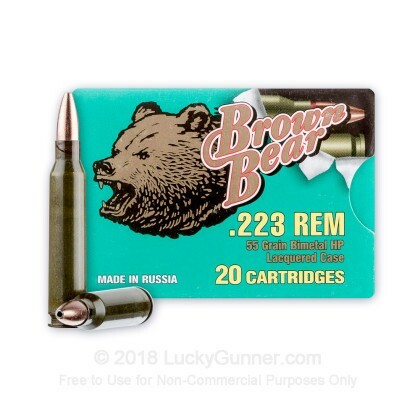 Brown Bear ammunition is manufactured at the Barnaul plant in Russia. 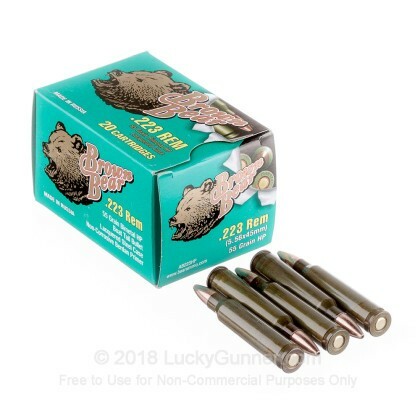 This ammo is perfect for low cost range training in your AR-15. 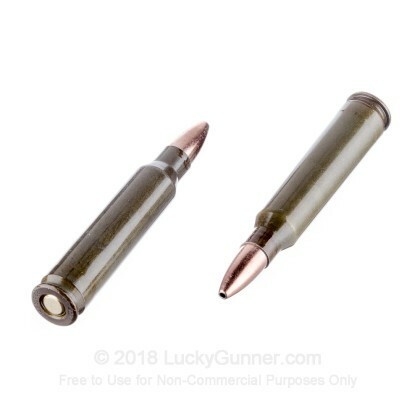 This cartridge is loaded with a hollow point bullet which is designed to provide expansion in small to medium sized game. 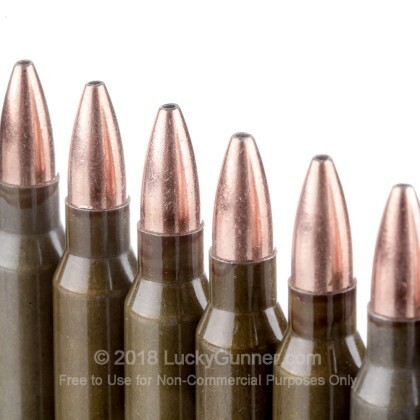 Additionally, with the cost savings of steel cases over brass cases, this ammo makes for a great training round. All 300 rounds were fired through an S&W M&P15 Sport II. 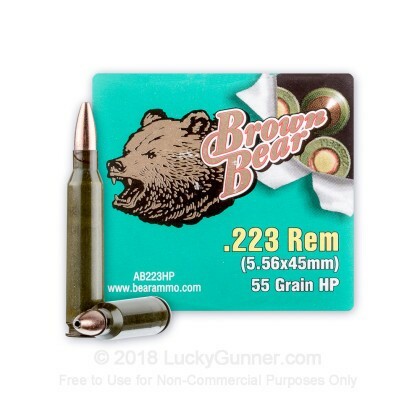 Good ammo at great price will do more business when I have time to slow down from working so much. great value at currently inflated prices. Shoots dirty but accurate. It beats the other Russian brand. The other Russian brand jammed 6 out of 6 clips for the first 3 rounds. The other Russian brand casing is not as polished and slick as Bear. The ammo did just fine at 25, 50, and 100 yards. 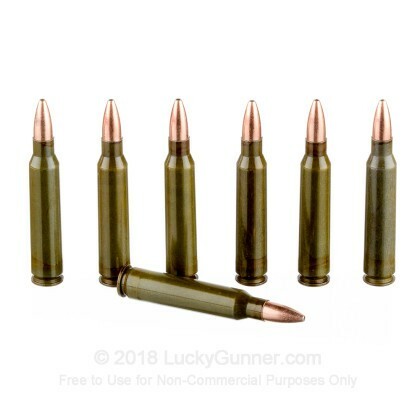 Can be dirty so just make sure to clean the rifle often and this ammo is perfect for shooting and doesnt jam often maybe 1 or 2 jams per 90 shots fired if rifle is clean. A little dirty, but if you clean your firearms like you are supposed to, it will not be a problem.